The following is a link to the complete pdf of the No. 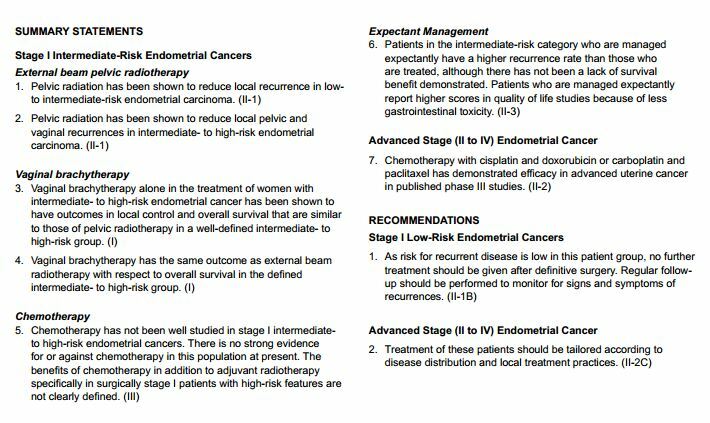 290, April 2013 Joint SOGC-GOC-SCC Clinical Practice Guideline: The role of adjuvant therapy in endometrial cancer from J Obstet Gynaecol Can. 2013 Apr;35(4):375-9 article. Abstract.